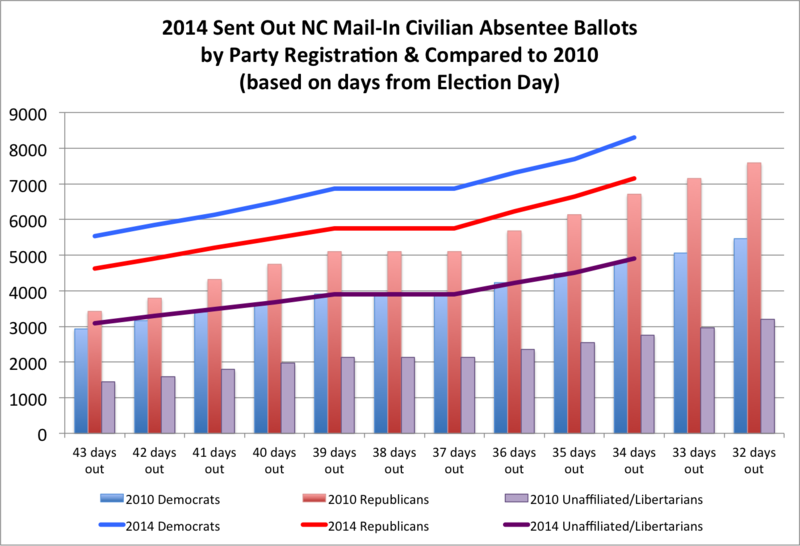 The numbers regarding North Carolina's mail-in absentee balloting continue to tick up, with requesting adding another 8% to Tuesday's totals, bringing the requested number of ballots so far to over 20,000. 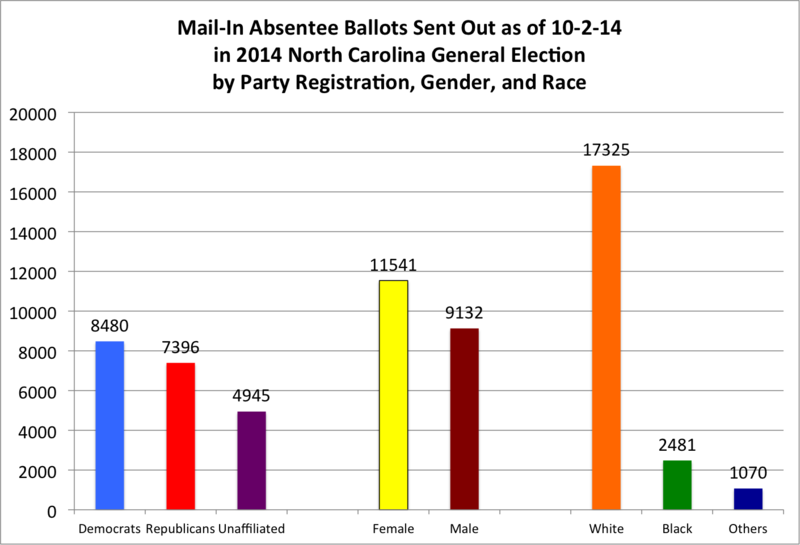 Out of these 20,000 plus ballots, 3,870 have been returned and accepted (19% return rate so far). Yesterday's sent out ballots still show a cumulative healthy lead for registered Democratic voters (at 41%) to registered GOP voters (at 35%) and unaffiliated voters at 24%. Women are at 55%, which raises an interesting point that I'll get to later. White voters are 83% while black voters are 12%. 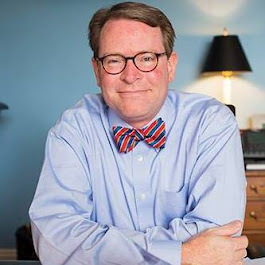 Of the 3,870 returned and accepted ballots so far, 44% are from registered Democrats, 35% from registered Republicans, and 20% from registered unaffiliated voters. 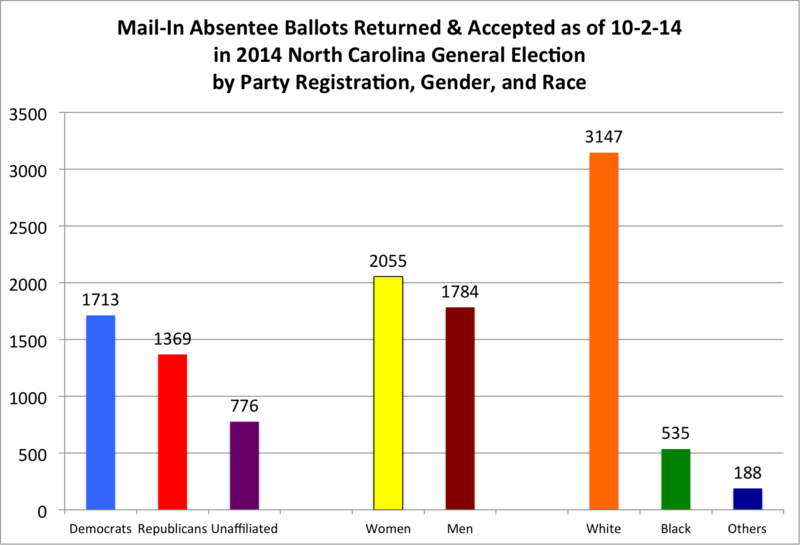 While women voters are 55% of the requested ballots, they are currently 53% of the returned and accepted ballots. 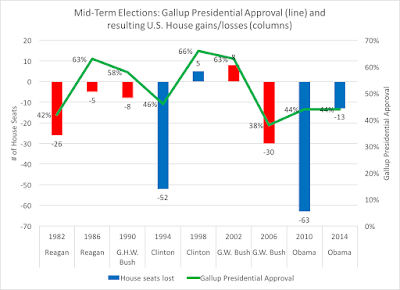 An article in today's Washington Post notes the "war for the female vote" and Greg Sargent notes that Democratic strategists are using the 53% threshold of females within the electorate, and if those females support Democratic candidates, then Democratic senatorial candidates may see "their chances of winning improve." 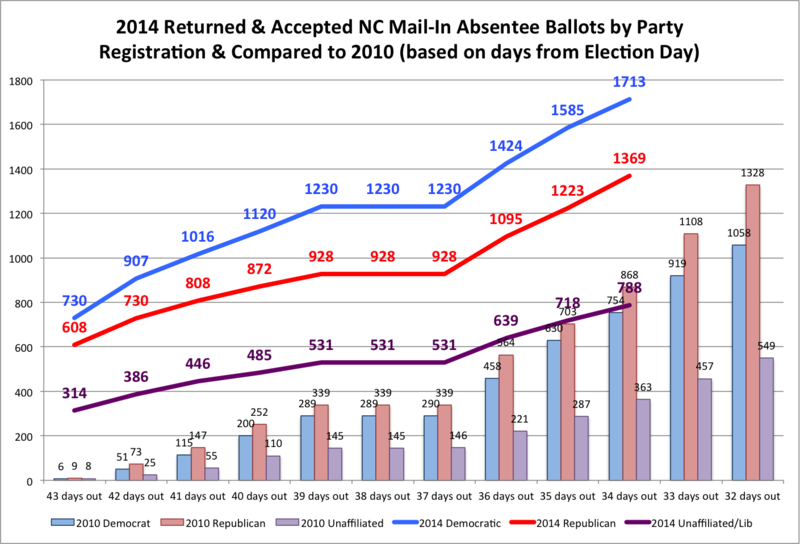 By both the requested and returned/accepted ballots so far, in North Carolina at least, it appears the first part of this campaign strategy is working in the Tar Heel state for Democrats.